eltiempo.com.ec reported this afternoon the Police Administration of Azuay, in coordination with the Foreign Ministry, Migration and National Police arrested the US citizen RM Godwin, who is wanted by the justice of his country. The arrest took place abroad outside the offices of the Ministry of Foreign Affairs and then transferred to Immigration for immediate deportation. The individual is accused of sexual crimes and other crimes in the United States. 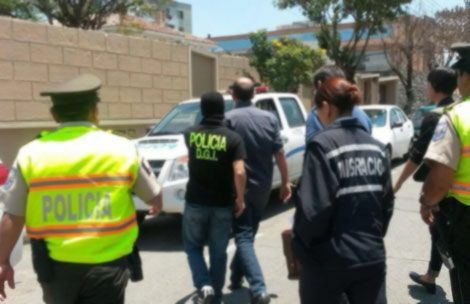 The man tried to settle in the city and buy a property, although temporary or tourist visa expired on September 11.Roberto Alvear, mayor of the province, said they have taken appropriate provisions to prevent his stay in the country.